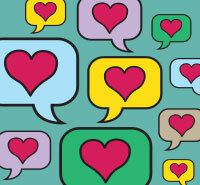 According to a recent survey conducted in the US by Match.com, 88% of gay men are actively looking for a relationship. The same study shows that 65% of gay men believe in love at first site, and 41% of gay men admit that they want to get married, as opposed to the 25% who don’t. 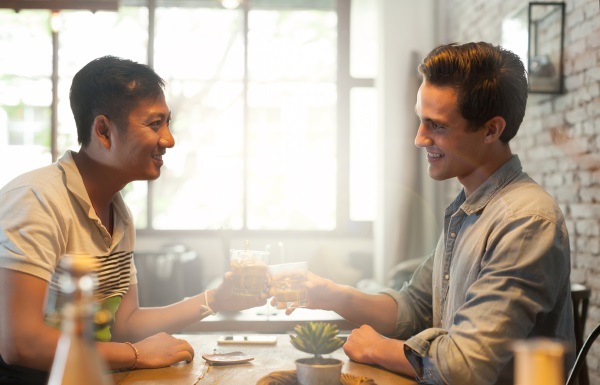 Considering these eye-opening statistics, it’s no wonder that more and more gay men are getting tired of frequenting bars and clubs in order to find a gay match. While these places may be fun for partying and hooking up, men looking for a more serious relationship prefer to find local gays in more intimate environments such as the following examples. A recent survey conducted by the influential gay blog thefabfemme showed that one of the most popular places to meet local gays is the bookstore. It’s the perfect setting for finding serious, intelligent men and for making a great conversation about things you have in common. Check out which books a potential partner is browsing to see if his interests match yours. While making conversation, drop in a few of your favorite authors’ names and recommend their books to make that great first impression. Community Marketing, Inc. previously published a study that showed that 49% of gay men under age 30 own a gym membership. “Now that I’ve gone to the gym and I’ve worked on my body, if I was to date somebody who didn’t put any effort into his body and didn’t have enough of what I consider appealing I would probably be less interested in him." In other words, if you’re an active sports buff that takes care of his body and appreciates the discipline and hard work that goes into it, the gym will most likely be filled with gays who share this in common with you. There’s really no better place to find the perfect match. It’s also the perfect setting for socialization; Alveraz shows in his book that 1,329 gay men said they used the gym in association with “Dating". It’s no wonder too; there’s usually a place to eat and drink in between trainings, and the atmosphere is fun, spontaneous and friendly. The digital age we live in has completely revolutionized how gay men are finding each other. 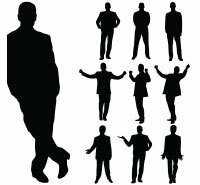 Apps, social networks, and online dating websites have become the most significant tools to find gay men of all backgrounds. Don’t believe it? This fascinating article states that 70% of gays admit to having dated someone they met online. Honestly, this shouldn’t come as a surprise. The benefits of these tools are manifold; they widen your pool of available gays and they save you a lot of time and hassle by allowing you to quickly filter out the profiles of men you find unattractive. Basically, you can build an intimate relationship with someone and see images and videos of him before even meeting him face-to-face. You don’t need to give him your number or personal contact info. And all of this accomplished before you’ve even stepped out of your house! 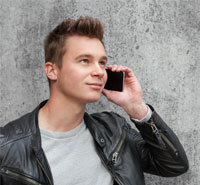 In today’s day and age, where people are practically physically attached to their mobile devices and have access to every bit of information, , it is no surprise that more and more gays are being drawn to trying their luck to meet gay people online as an alternative to the more traditional ways of finding ‘the one’. A questionnaire conducted by the Cincinnati Enquirer asked gay people to name their favorite places they go to connect with others. One of the top places turned out to be coffee houses! Coffee houses are a great meeting place for gays as they are constantly vibrant and full of freelancers and students who choose to work there, rather than at home. Take advantage of this opportunity to find your new potential partner. If someone catches your eye, offer to buy him a cup of coffee or pull up a chair at a table close to his and work beside him. Since many coffee-goers are regulars at their favorite café, you can start by exchanging glances each time you see him and strike up a conversation with him only after becoming a regular yourself. Slow and steady is sometimes the best key to a good romance! Want to widen your pool of available gay men who are looking for love? Check out these top gay online dating websites and find your perfect match today!